In a box, within a canister filled with snow, tucked tightly into a backpack strapped to one determined ecologist. Twenty at a time they travel, these unassuming native frogs, departing places where they’re thriving for sites from which their species has vanished. Their mission: population recovery. In ecology-speak this is known as translocation — capturing, transporting, then releasing animals somewhere else, often to conserve the species. 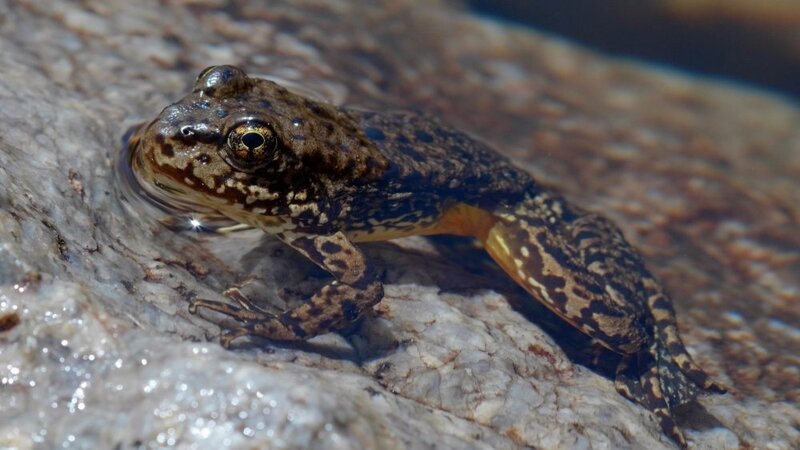 For the Sierra Nevada yellow-legged frog, amphibians decimated in Yosemite National Park by the chytrid fungus Batrachochytrium dendrobatidis(Bd), the technique appears to be working. UC Santa Barbara ecologist Roland Knapp has been leading a team of field crews to save these frogs. In collaboration with the National Park Service, U.S. Geological Survey and U.S. Fish & Wildlife Service, Knapp has been reintroducing them to lakes from which they have disappeared because of Bd. The results of these novel experiments might provide important insights into how amphibian populations worldwide that have been impacted Bd might be recovered. Few examples exist in which reintroduced amphibians were able to recover in the face of ongoing Bd infection, Knapp said. So describing the fates of these populations is critically important. He and co-author Maxwell Joseph, a data scientist at the University of Colorado-Boulder, have now published their new findings, “Disease and climate effects on individuals drive post-reintroduction population dynamics of an endangered amphibian,” in the journal Ecosphere. It’s been a long time coming — literally. The first two translocations of frogs occurred more than 10 years ago, and he and and Joseph have been following those frogs ever since. Translocated into sites from which their species had previously been killed off by Bd, these new arrivals face challenges from disease and from variable winters (the frogs spend winter under the ice, getting by on energy reserves built up over the summer). By repeatedly catching the same frogs over several years, the researchers are able to track their health and survival, and determine whether the translocated populations are growing or shrinking. By analyzing Knapp’s long-term data with the novel statistical models developed by Joseph, the researchers showed how disease and climate together influence the persistence of these new populations. “What we really want to know is how infection load — a measure of how infected a frog is — changes over time, and we need to keep track for every individual in the population,” Joseph said. “But we don’t know exactly how many individuals there are in the population and we don’t observe them all at every visit. So we decided, let’s model the data that we wish we had for every individual and use the data from the subset of individuals that we caught to inform that model. The paper details two translocated frog populations. One is persisting, increasing their number by hundreds of animals. The other has failed to thrive and appears on the verge of extinction. Bd, the researchers find, spells the difference: infection rates are lower in the thriving population and higher in the failing group. 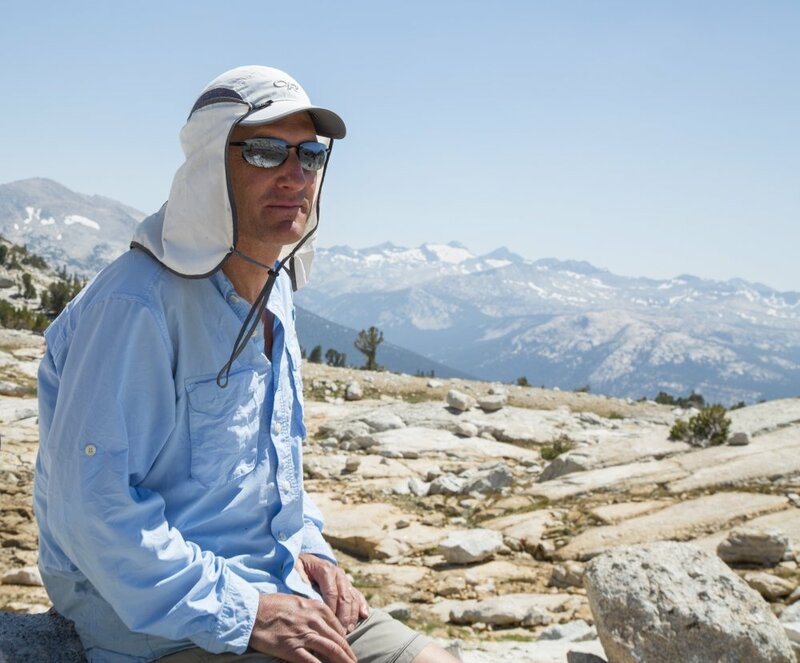 “Despite still having major effects on frog populations, disease is unlikely to doom this iconic species in Yosemite National Park,” Knapp said. “Since the early translocations described in this paper, many additional translocations have been conducted in Yosemite and the majority of those populations show signs of becoming established.